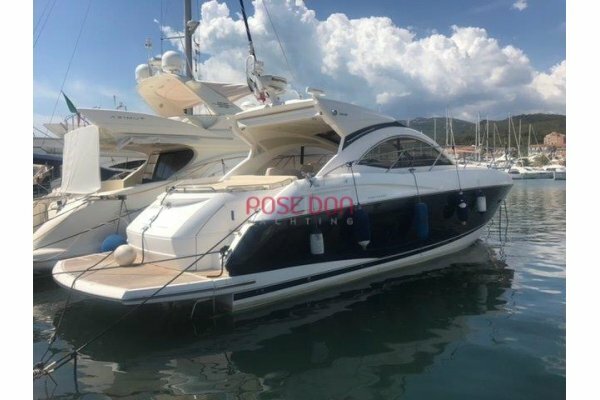 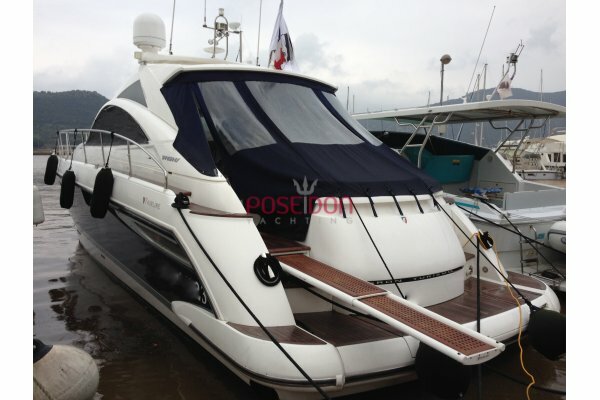 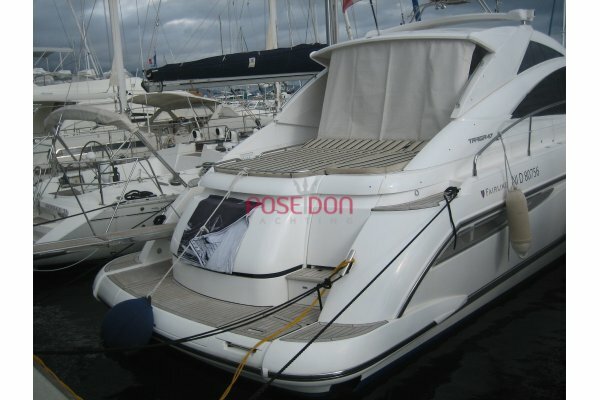 Beautiful PRINCESS V48 II presented with a blue hull, 1st hand, 130 hours engine only! 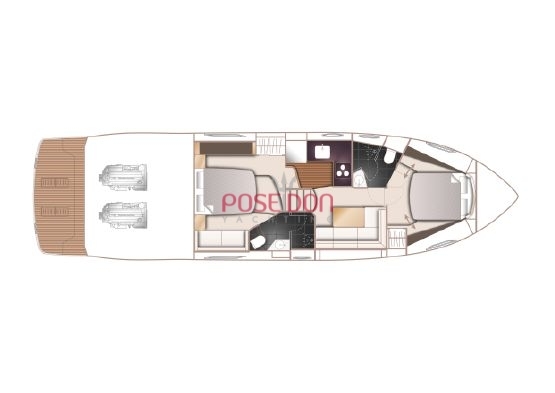 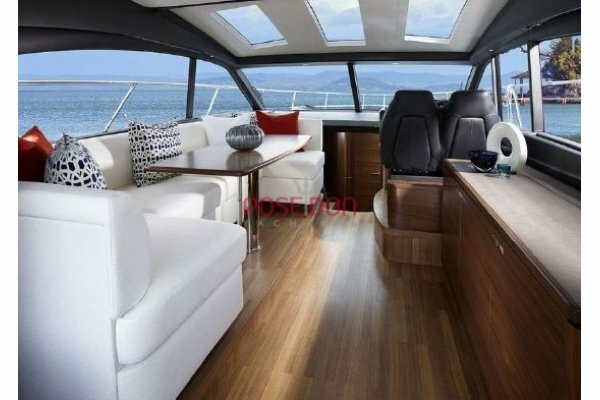 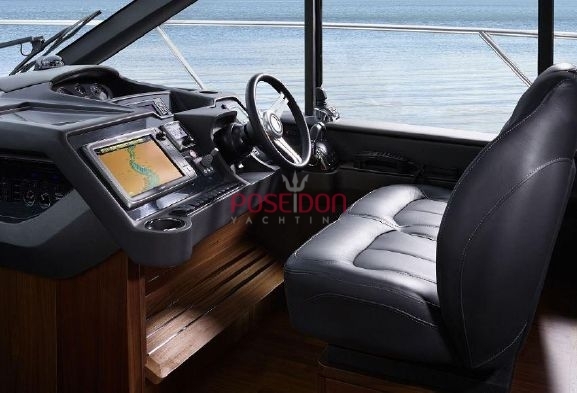 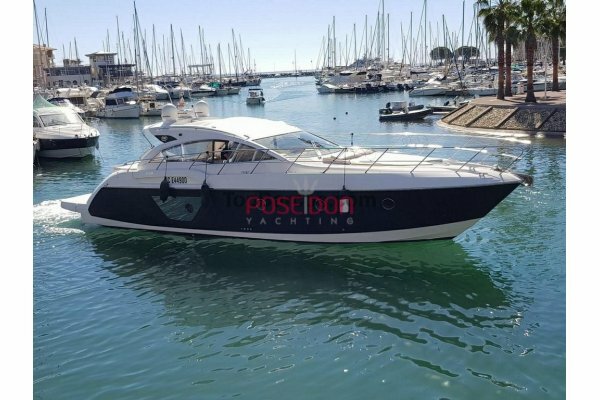 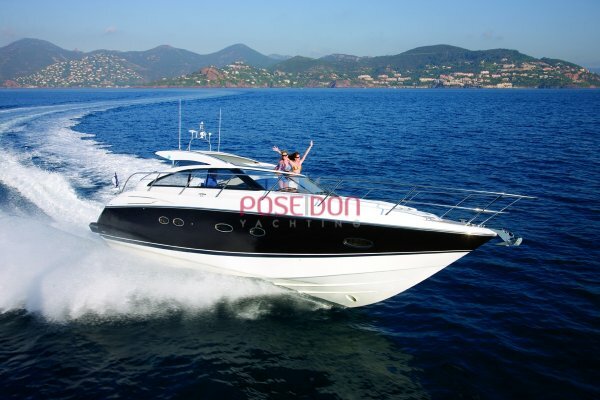 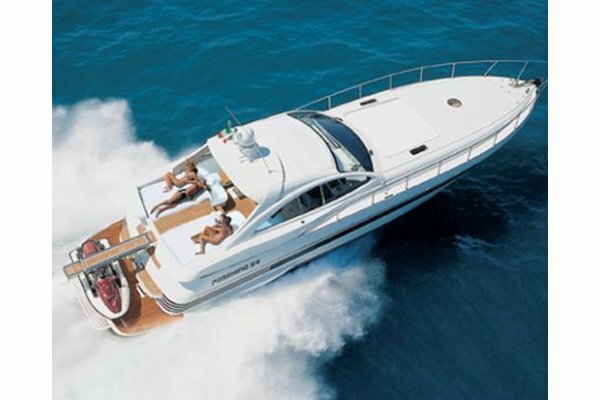 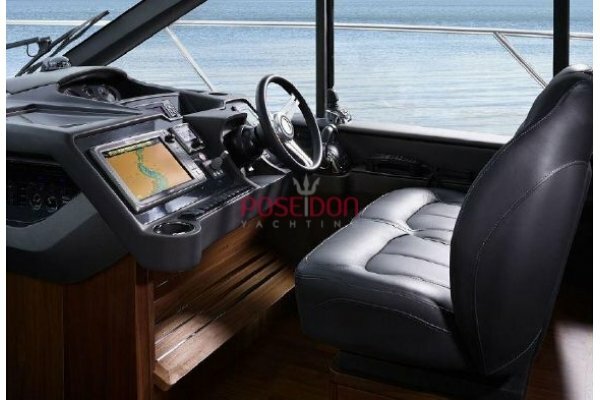 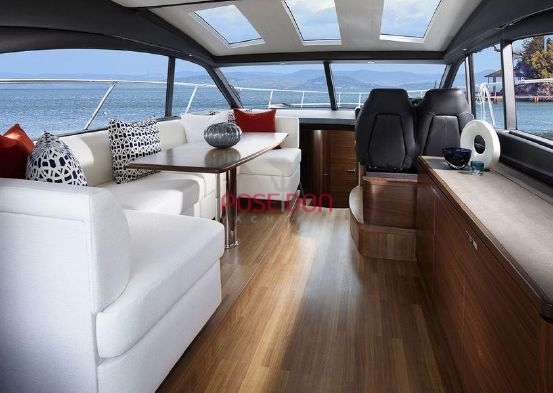 This V48 is available in a closed cockpit version, powered by two VOLVO PENTA IPS 600 engines delivered with the IPS VOLVO joystick. 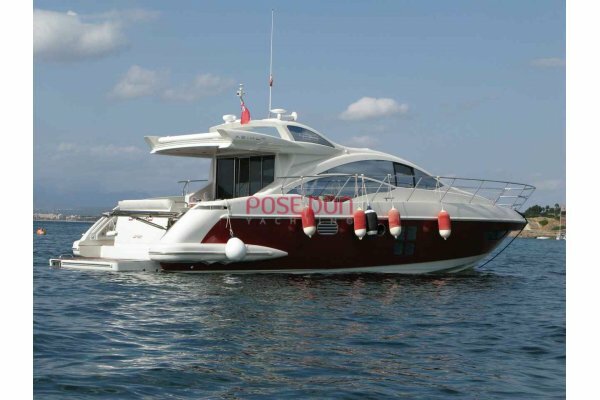 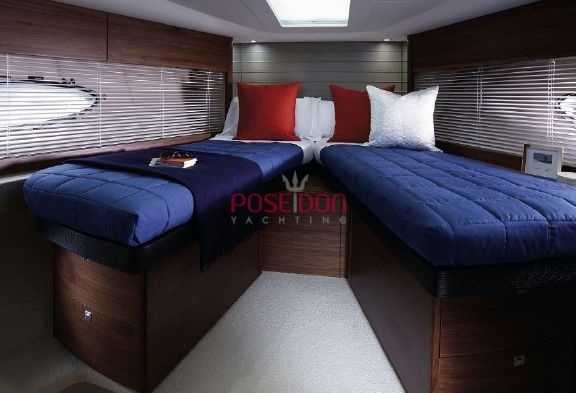 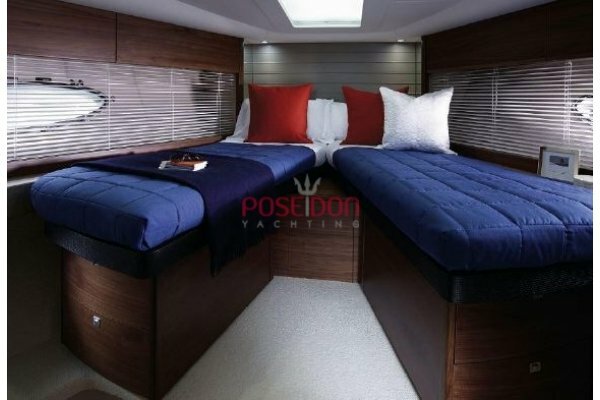 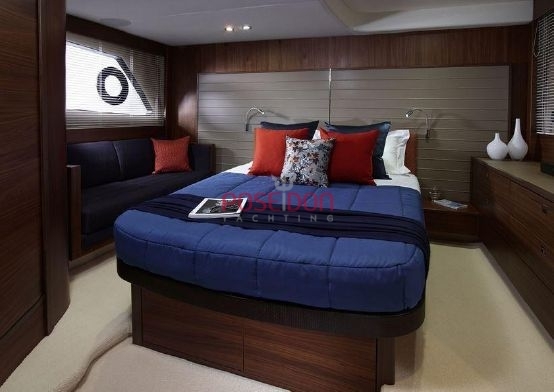 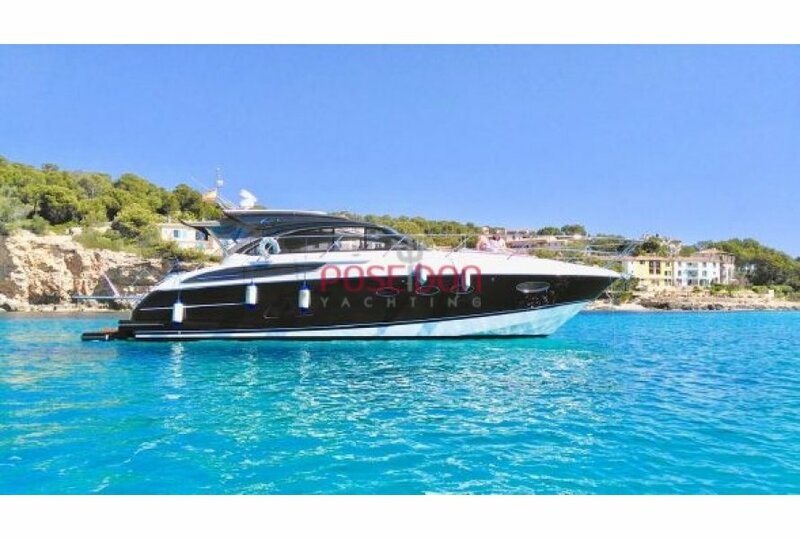 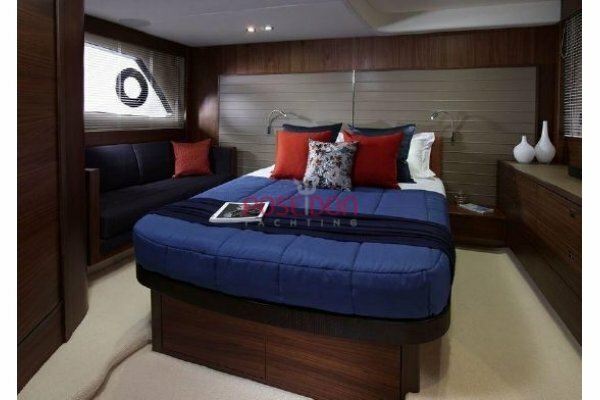 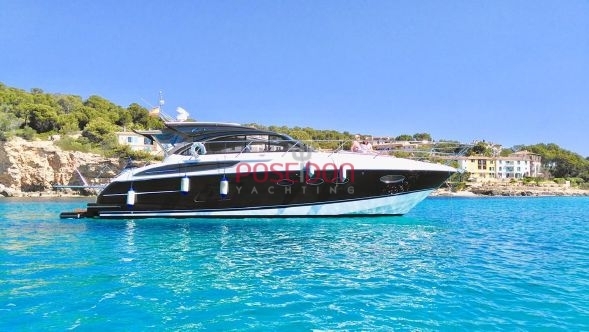 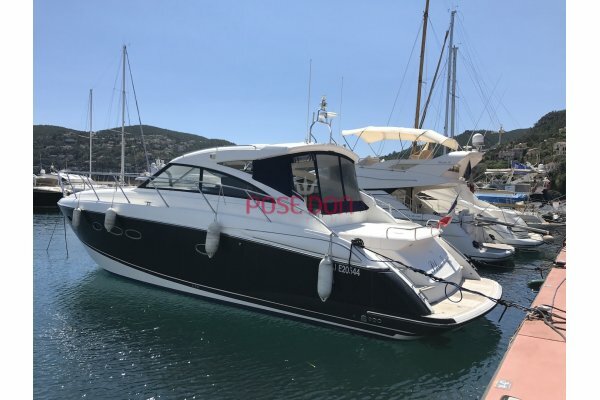 In very good condition, the main options with the hydraulic bathing platform, air conditioning, Harman Kardon sound system, etc ... A must see!